Grant Bettencourt discovered his passion for the criminal justice system while completing his undergraduate degree at the University of Oregon, ultimately authoring his senior thesis on the application of the death penalty in the American criminal justice system. After graduating from University of Oregon with honors, Grant continued to pursue his passion for the law at Chapman University School of Law. Knowing that he wanted to fight for justice in the courtroom on behalf of individuals accused of crimes and for those involved in the immigration system trying to achieve the American Dream, he completed an emphasis in Advocacy and Dispute Resolution, which trained him well to become a highly skilled advocate in court for his clients today. Grant acquired knowledge and experience working for The Office of the California Attorney General, The Orange County District Attorney’s Office, The Orange County Public Defender’s Office, and clerking for a Superior Court Judge. 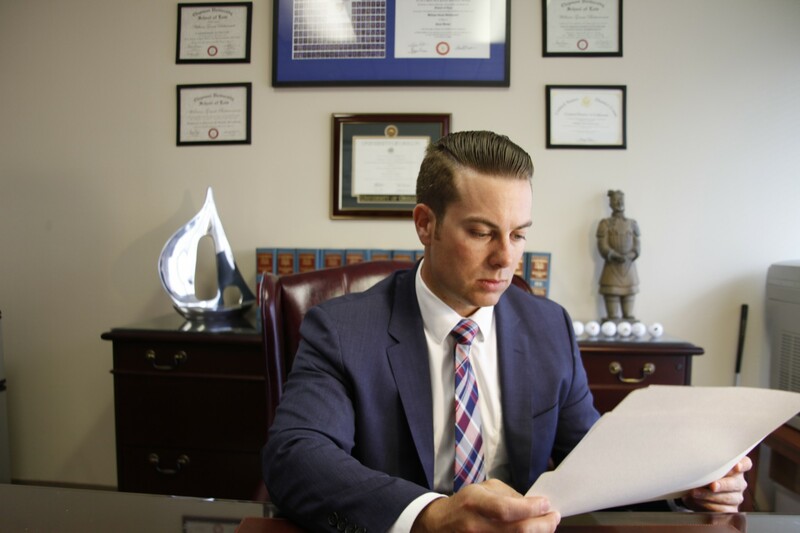 He has extensive experience handling nearly every type of criminal case ranging from DUI’s and drug possession to more serious felonies like armed robbery. Given his extensive experience helping those involved in the immigration system, Grant has successfully handled cases for clients seeking to obtain visas or their green cards, people fighting deportation, and those looking to achieve their dream of becoming U.S. Citizens. Grant has also drawn on his experience working for the Office of the Attorney General, drafting Writs and Appeals to help clients erase or reverse criminal convictions for those facing immigration complications from past criminal conduct. When Grant isn’t practicing law, he enjoys barbecuing with friends and family, going on runs with his rescue dog, Dahlia (aka “Dolly”), and rooting on the Oregon Ducks football team.